Exped Versa Quilt Duo: Quilt for the outdoors or at home. For all outdoor adventures as a couple. Quilt for the outdoors or at home. For all outdoor adventures as a couple. 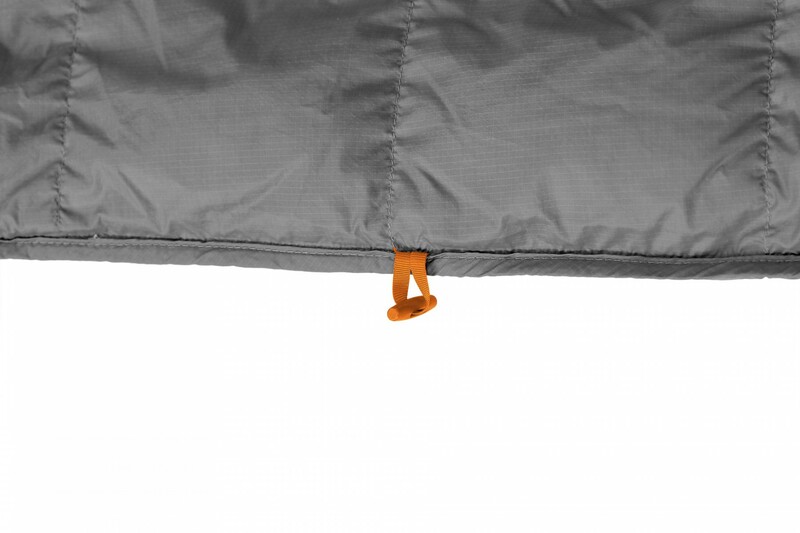 Exped Versa Quilt Duo is a compact comforter with toggles along the perimeter for integration with an Exped sleeping mat sheet. It's built with durable shell fabric and lightweight down insulation for warmth and compressibility. Fully rectangular design provides extra room for feet, knees, shoulders and elbows. Comes with a Fold-Drybag and a Storage Bag.